“BJP has been trying to disturb communal harmony on the Tipu Jayanti issue. We will not allow them to do it. Any attempt to disrupt law and order will be dealt with an iron hand,” Deputy Chief minister G Parameshwara said. Karnataka government Sunday charged BJP with trying to disturb communal harmony over the issue of ‘Tipu Jayanti’ celebrations on November 10 and warned of stern action against those trying to violate law and order that day. 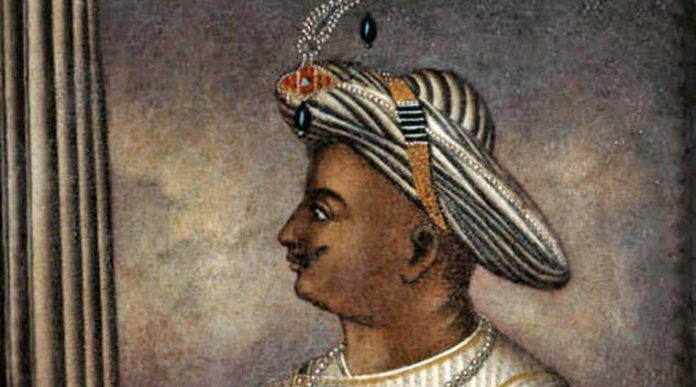 The birth anniversary celebrations of Tipu Sultan, the 18th-century ruler of the princely state of Mysore, have been held on November 10 by the state government since 2016. “BJP has been trying to disturb communal harmony on the Tipu Jayanti issue. We will not allow them to do it. Any attempt to disrupt law and order will be dealt with an iron hand,” Deputy Chief minister G Parameshwara said. The event would take place without any disturbance, irrespective of protests, he said. The government’s decision to celebrate the day on November 10, 2016, had drawn flak from BJP and the RSS, who had termed it as “minority appeasement”. Meanwhile, minister of state for skill development Ananth Kumar Hegde requested the state government not to include his name in the invitation card for the event. However, Parameshwara said Hegde’s name had already been included and it was up to him to decide whether he wanted to attend the function or not. Hegde had made a similar request last year. In 2016, he had flayed the government for celebrating Tipu Jayanti despite opposition from some sections of society living in coastal belts and Kodagu areas, claiming that the ruler was “against Kannada language and anti-Hindu”. Subsequently, Hegde was arrested for threatening to disrupt celebrations in Uttara Kannada district. Meanwhile, another minister Jayamala, without naming BJP, said she was at a loss to understand why some people were upset over the celebrations and requested that everyone cooperate to ensure that the event passed off smoothly.